Jumia, the leading online shopping destination in Africa, has launched its newly redesigned website jumia.com to its entire Africa audience. Lagos, 23d of October - Jumia, the leading online shopping destination in Africa, has today launched its newly redesigned website jumia.com to its entire African customers. From now on, jumia.com offers a cleaner vendor-friendly interface that improves the shopping experience across all platforms for its several million unique users in Africa. This very first step is part of a process that has already started aiming to improve both vendor and customer experiences on Jumia. Developed with a mobile-first approach, the new site has been built around the needs of Jumia’s customers as well as vendors and aims to provide a seamless user experience. “We want to build the new Jumia platform as a home for brands, where every single vendor can build its own online shop, its own universe. This way, Jumia’s customers will have access to a clear offer for an effortless shopping journey”, explained Jeremy Hodara, CEO Jumia. Over the past year, Jumia has delivered record online traffic and was even ranked as the most visited E-commerce website in Nigeria according to Amazon’s Alexa. The emphasis has been placed on developing a new framework to improve the loading time of the website and allow customers to shop on Jumia with low connection speeds. “This newly redesigned site takes Jumia one step closer towards its goal of offering a seamless user experience”, declared Jérémy Hodara. 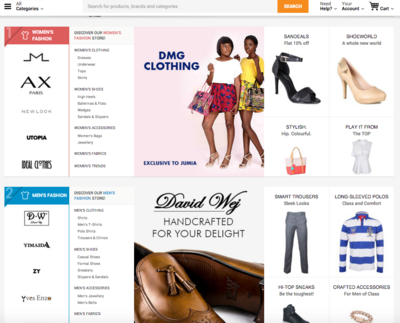 Jumia.com aims to reflect the way people shop online, featuring a simple and easy-to-browse catalog that reduces the user’s need to click around the site in order to uncover the content they’re searching for. 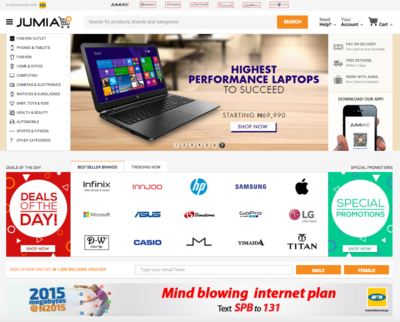 On the vendor side, the new layout gives more visibility to brands and partners selling on Jumia. “The site redesign is the first of several initiatives for the year that will allow us to continue to surprise and delight our customers and partners each and every day", commented Jérémy Hodara. Jumia is Africa’s leading online shopping destination. Customers across the continent can shop amongst the widest assortment of high quality products at affordable prices – offering everything from fashion, consumer electronics, home appliances to beauty products. Jumia was the first African company to win an award at the World Retail Awards 2013 in Paris as the “Best New Retail Launch” of the year.